This kernel is a typical model for a seeing limited PSF. 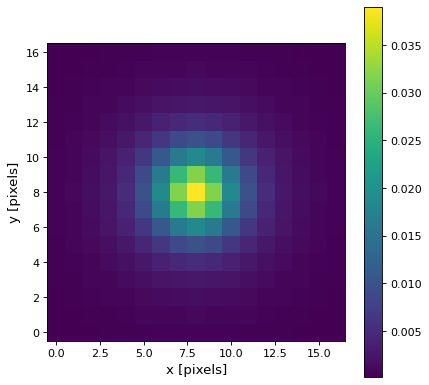 Core width of the Moffat model. Power index of the Moffat model. Size in x direction of the kernel array. Default = 8 * radius. Size in y direction of the kernel array. Default = 8 * radius.